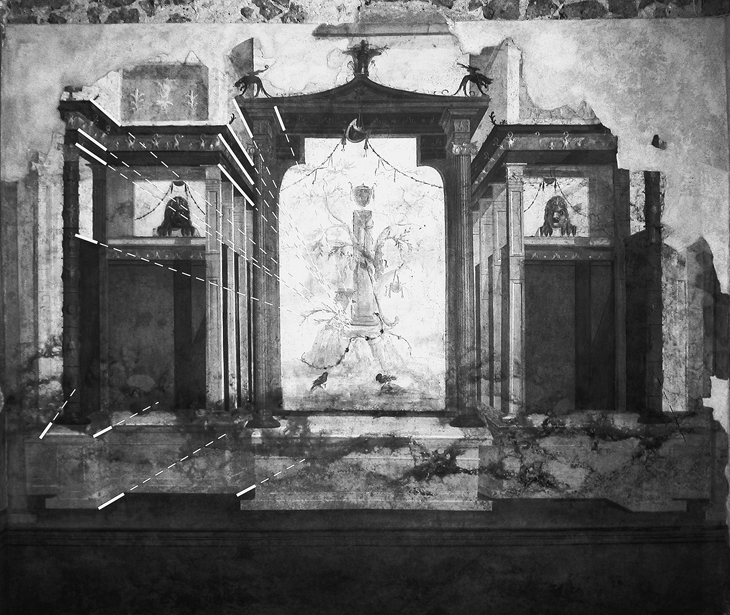 There is still much to be learned about architectural perspective from the study of Roman wall paintings dating to the first century B.C.E. This article demonstrates that Second Style wall paintings of houses and villas in Rome and Campania hold evidence for different types of perspective: convergence perspective and parallel perspective. A special variation involves multiple systems of convergence perspective. Analyses of these different perspective systems and reconstructions of painters’ methodologies demonstrate the sensitivity and adaptability of wall painters to the physical and social parameters of Roman domestic space. The use of different perspective systems reflects the role of painters in crafting the complex form of perspective found in Second Style wall painting. While being adjustable to many variables, the type of perspective found in the Second Style offered viewers impressions of perspectival convergence, a visual function analogous to contemporary applications of perspective in other media, such as architects’ drawings and theater scenery painting.